'Days of Our Lives' Spoilers? Jordi Vilasuso Joins Cast of DOOL - Who is The Mystery Man? “Days of Our Lives” (DOOL) spoilers include news that Jordi Vilasuso will join the cast. The new character may have a connection to Rafe Hernandez (Galen Gering). Does this also mean the mystery man will be involved with Gabi Hernandez’s (Camila Banus) return to Salem? Details regarding the character’s name or when Jordi will begin filming on the “DOOL” set have not yet been released. Jordi Vilasuso is no stranger to daytime dramas. In 2003 he took home an Emmy for his role as Tony Santos on the now defunct soap opera “Guiding Light.” The character of Tony was a mobster who fell off a cliff to his death. 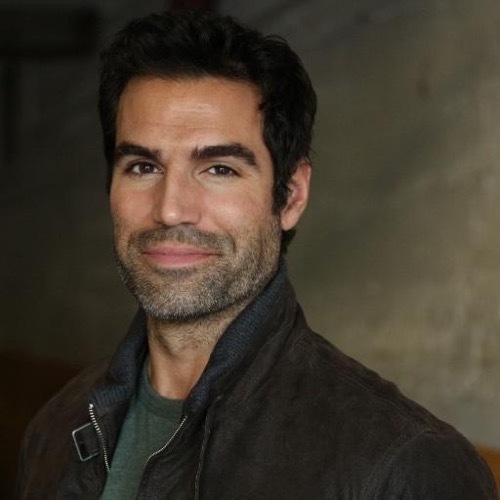 Jordi’s other soap credits include Griffin Castillo from “All My Children.” Vilasuso followed the cancelled soap when Prospect Park moved it online as a web series and remained there until its cancellation. What is in store for this mystery character? There is a lot of excitement building for fans as several veteran actors are returning for the sudser’s 50th anniversary celebration. Camila Banus tweeted just the other day that fans will see her back on “Days of Our Lives” in just over two weeks time. Steve “Patch” Johnson (Stephen Nichols) has returned as has Bo Brady (Peter Reckell). Sami Brady (Alison Sweeney) – if the short 50th “DOOL” anniversary promo video is any indication – will also be back in Salem. There is so much going on! What better time to be a “Days of Our Lives” fan than now? The daytime drama’s ratings are up, there is a serial killer on the loose and teasers reveal that there will be many exciting and suspenseful stories unfolding in 2015 and 2016 from the murder mystery storyline. “Days of Our Lives” fans who do you think this mystery man is? Could he be a long lost Hernandez brother? It may take some time but the mystery of the character Jordi has been cast as will be revealed. Hold onto your seats! It seems there is going to be a LOT of excitement on “DOOL”! Get Exclusive Jordi Vilasuso News & Updates!